Take your network with you! For organizations that depend on field forces and mobile networks—like first responders, transportation departments, utility crews, insurance disaster teams, and many others—secure and reliable 4G LTE connectivity is essential. Vehicles and mobile command centers have become the field communications hub, allowing users to access mission-critical applications and the Internet from anywhere, and keeping data flowing to the cloud from on-board telemetry, sensors, surveillance cameras, and other devices. 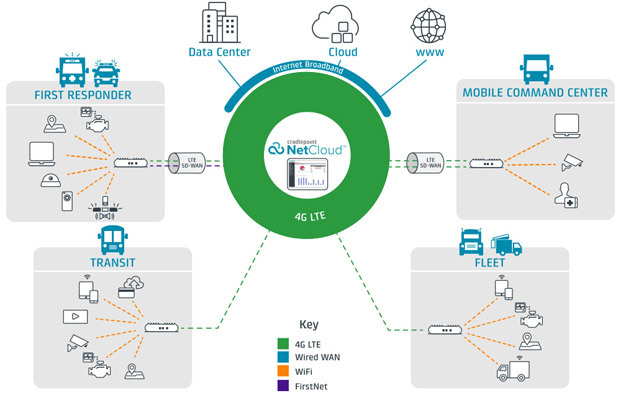 Cradlepoint’s Elastic EdgeSM vision provides a blueprint for next-generation mobile networks that deliver pervasive connectivity, cloud-like agility, and software extensibility with enterprise-class visibility, security, and control. All-inclusive NetCloud Solution Packages for Mobile Networks, based on COR Series routers, are subscription-oriented, flexible, reliable, and cloud-managed. 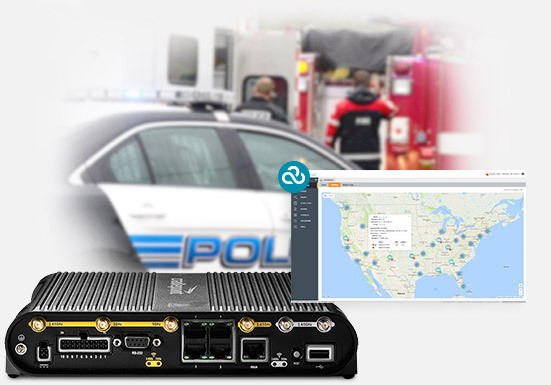 Purpose-built to withstand extreme environments, the COR Series replaces multiple “boxes” with a ruggedized, all-in-one mobile network solution that is ideal for in-vehicle and command center installations. Each model supports up to two 4G LTE modems, a multi-port Ethernet switch, 802.11ac WiFi, GPS, and ports for ignition and sensor integration. The Linux-based NetCloud OS software provides advanced routing, SD-WAN for LTE, and security functionality. Everything is simple to configure, orchestrate, and manage from the cloud using NetCloud Manager. fleet, whether transport, ambulance, police, social services.